TGIF, everyone! This week for Friday Fun, I have a simple but fun recipe for your next party to spark the conversation with jaw-dropping excitement and exclamations of “Are those really what I think they are…?” But be warned, they take about 3-5 days of advance planning, so mark your calendars accordingly so you can serve up a batch of alcoholic nostalgia with these vodka gummy bears. 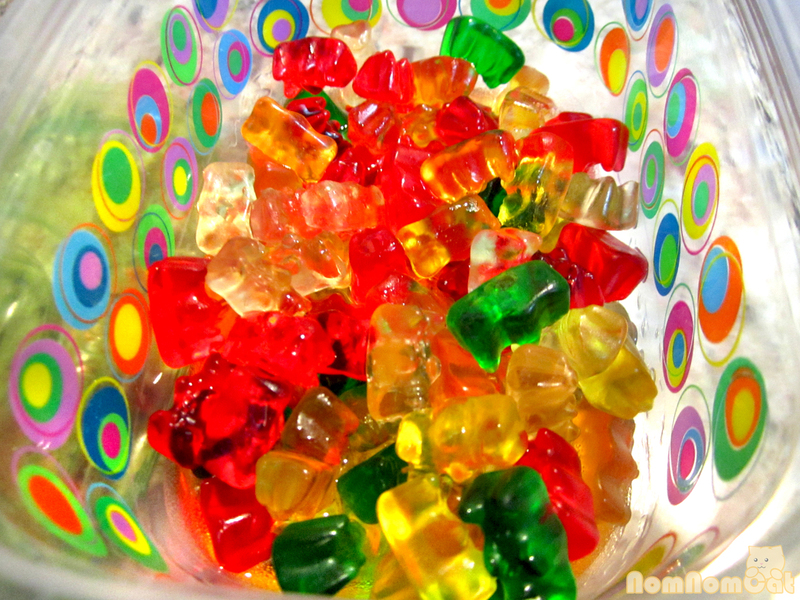 That’s right — vodka gummy bears. These seemingly harmless candies pack a surprising kick, and they can really sneak up on you so I go easy on the liquor, especially if they’re being served at a party alongside a full bar. 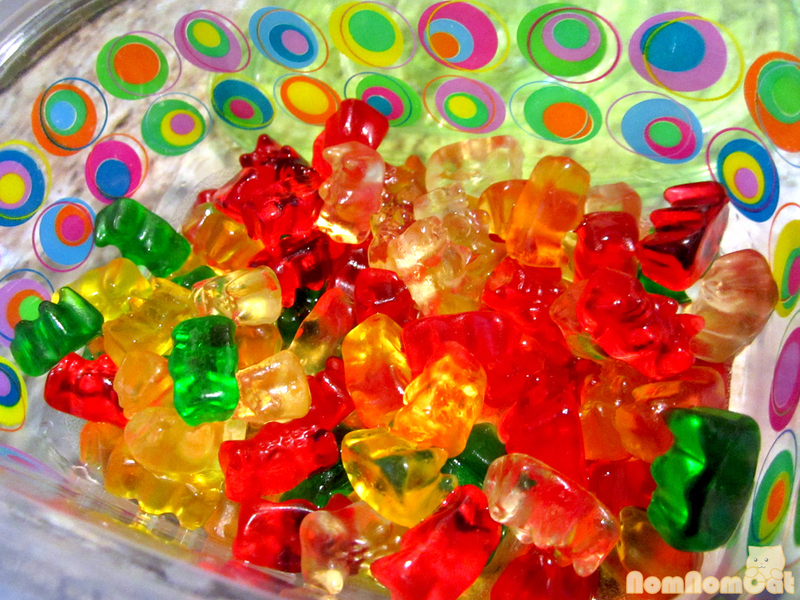 But wait – a quick Google search will yield tons of vodka gummy bear recipes and tutorials. What makes mine different? A touch of citrus in limoncello. You can omit it if you don’t have it (and make up the liquid with more vodka) but I think the lemony flavor really adds something to the otherwise ordinary Haribo gummies. 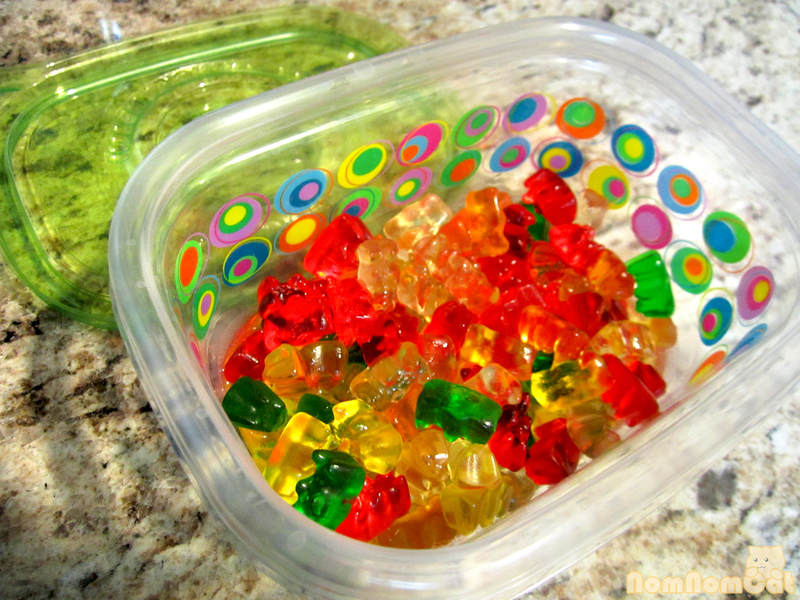 In a plastic container with a lid, toss in the gummy bears and pour in the liquor. Cover and let sit in the refrigerator for at least a few days. Three is pretty good, five is ideal. After the first day or so, you can taste a bear and see if the alcohol level is to your liking. Remember, you can always add more but once it’s in there, the bears are going to soak it all up! To serve, just transfer them to a dish, grab a few toothpicks (or dig in with your hands if you and your friends are that close), and get the party started! For alternate versions that will set you apart from the average vodka gummy bear maker, try using a complementary flavored vodka. Vanilla is an excellent choice and can add a “creme soda” like flavor if you use enough of it! By the way, if you get the brilliant idea to bring a batch of these with you on a group trip to Vegas, be sure that what vodka bears you bring to Vegas, stay in Vegas! Driving them back through the hot desert WILL melt them. Just trust us on this one. So what are you waiting for? 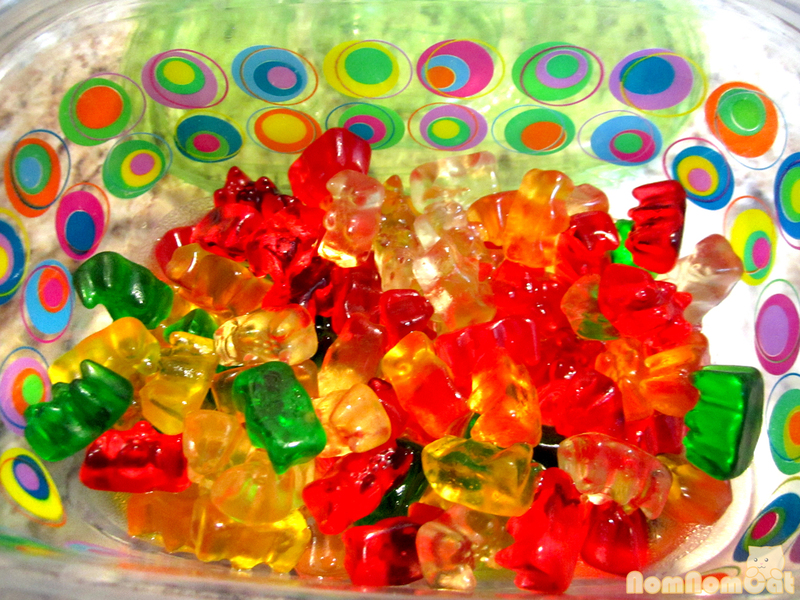 Whip together this mini army of fun and be instantly remembered as that awesome person who served alcoholic gummy bears at their party. Those things are awesome! If you like those, check out these other party snacks with alcohol! Ohhh I’ve been wanting to try those citrus-peel jello shots! Very cool post and videos. Thanks for stopping by! These are so much fun and definitely perfect for parties and gatherings. :) Can’t wait to try them out.